"This list of largest universities by enrollment (in-person, distance and mix) in the world includes total active enrollment across all campuses, as well as off-campus study." Source: https://en.wikipedia.org/wiki/List_of_largest_universities_and_university_networks_by_enrollment This map is also available on the free Google My Maps platform and mobile app. Current sites in 2019: "The goal of the Archaeological Heritage Resource Management Program is to manage the archaeological resources found on TRCA lands with respect to legislative requirements and approved technical practices." Source: https://trca.ca/conservation/archaeology/current-archaeological-projects/ Get the Google My Maps on Google Play for custom maps by user community, including those by CityWellness Atlas. One of the most romantics atlases you will ever see. Historic districts and old towns in the world. 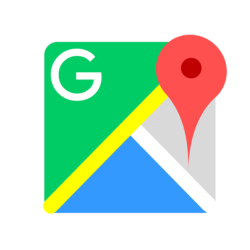 Source: https://en.wikipedia.org/wiki/Old_town Google My Maps app is free. These are 113.6 mln people in 143 countries. Source: https://data.humdata.org/dataset/energy-consumption-of-refugees-and-displaced-people Using the free "Google My Maps" app. Continue reading "Deadliest mass shootings since 1949 in the United States of America"